Combining expert skills in botany, industrial design, soil science, geography and ecology, the best Sydney landscape architects create stylish outdoor spaces such as parks, public spaces and high-end residential developments. New South Wales has an abundance of skilled landscape architects that create unique outdoor places that have enhanced the liveability and transformed the style of the Greater Sydney region. If you would like to discover some of Sydney’s most awarded outdoor spaces, read on and discover the story behind these iconic displays of modern landscape architecture. Ballast Point Park – This 2.6-hectare park in the Inner West of Sydney offers an inspirational expression of design, art and poetry. One of the standouts of the park is the Tank 101, which is an impressive sandstone and concrete structure that harks back to the traditional industrial setting. Opened in July 2009 by the Sydney Harbour Foreshore Authority, Ballast Point Park has a raw atmosphere that combines the natural beauty of the iconic harbour setting with interesting landscape architecture that adds a contemporary atmosphere. 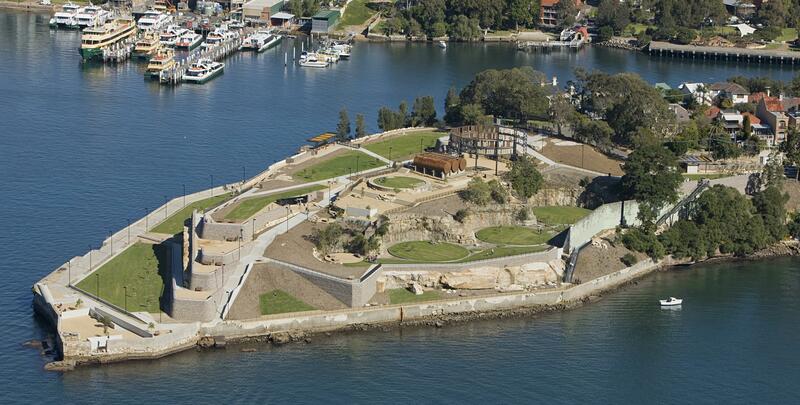 Ballast Point Park was created by McGregor Coxhall with CHROFI for the Sydney Harbour Foreshore Authority and has been recognised for the excellent display of urban adaption. Victoria Park – Conveniently located in Zetland, in the Inner West of Sydney, Victoria Park is an exquisite example of integrating parklands into high-density residential developments. With innovative water-sensitive urban design features, Victoria Park is regarded as one of the most significant works of Australian landscape architecture in the last decade. A collaboration between the NSW Government Architect’s Office and water engineers and scientists Tony Wong and Peter Breen, Victoria Park has been awarded as a class-leading example of overcoming flooding conditions to create usable green space in a densely populated residential location. Hyde Park Pool Of Reflection – A project of the Turf Design Studio and Environmental Partnership collaboration, the recent upgrade of the Hyde Park Pool of Reflection has enhanced this public space with subtle design innovations that blend perfectly with the original scope of the park. The long row of poplar trees adds elegance and a natural division that enhances the peaceful atmosphere of the park. 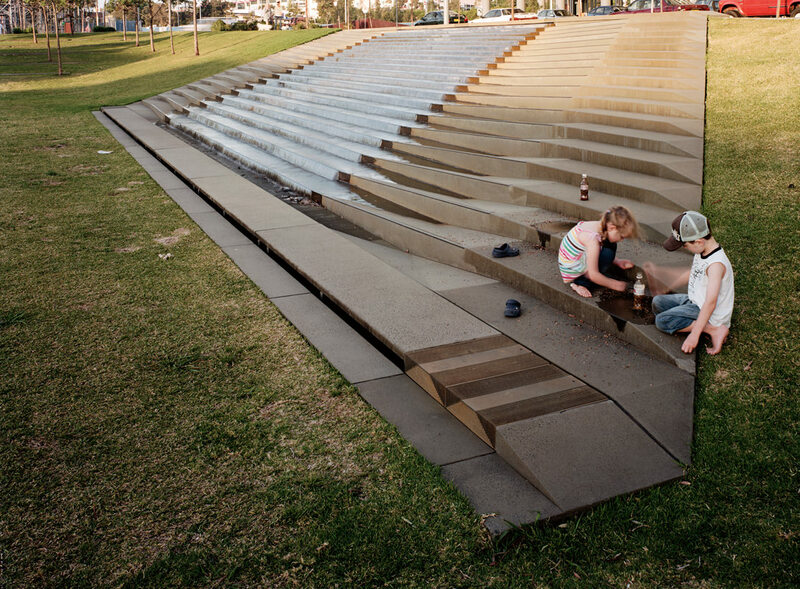 The Australian Institute of Landscape Architects awarded the park in the 2017 Cultural Heritage category for its understated and refined approach to heritage. The Hermitage – In the 2017 NSW Landscape Architecture Awards, The Hermitage, a high-end residential property in the Eastern Suburbs of Sydney, was awarded in the Gardens category for its outstanding use of native and imported plants. Ideally located in a harbour setting, The Hermitage combines gentle lighting and premium quality architectural materials to create a unique landscape. The Hermitage is an excellent example of delicately fusing native and exotic species in lush, bold arrangements. 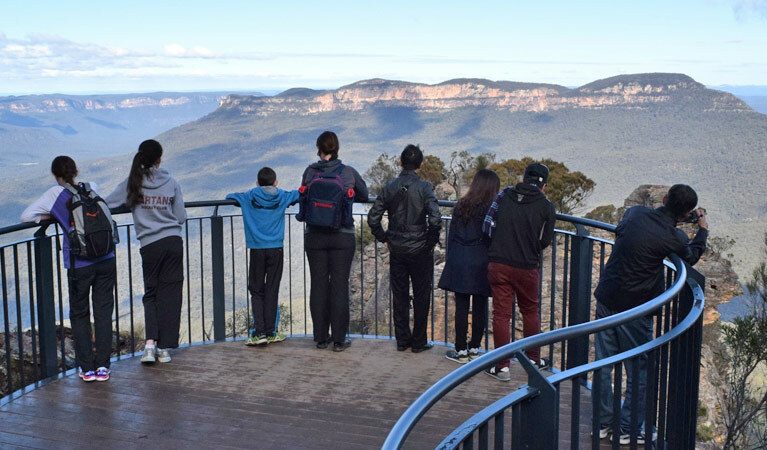 Three Sisters Track, Blue Mountains National Park – With highly constrained conditions due to its location in a National Park, the Echo Point to Three Sisters path upgrade offers a subtle and carefully designed project that is able to cater for the over 600,000 visitors to the site each year. The project highlights the natural beauty of the setting while providing a stylish and accessible pathway. 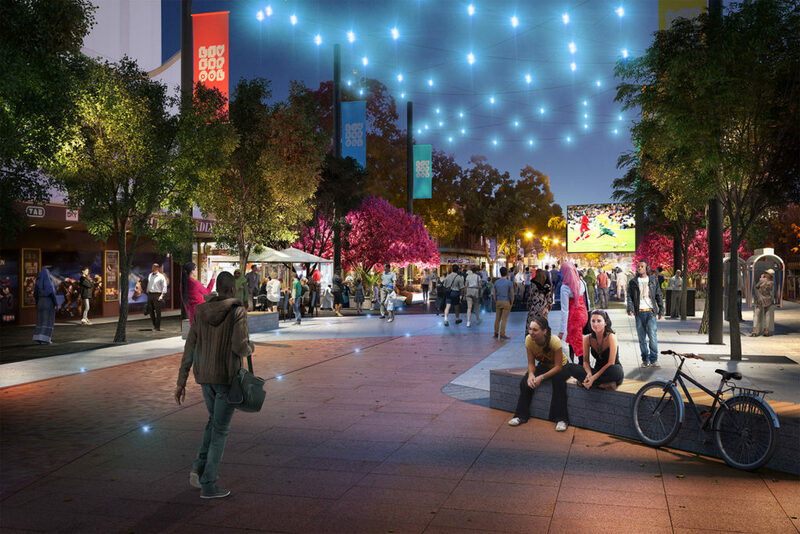 Macquarie Street Mall Revitalisation – The 2017 update of the Macquarie Street Mall is one of the best examples of landscape lighting in the Greater Sydney region. With a discreet use of accent light and well-lit trees, the Macquarie Street Mall is a great example of contemporary landscape architecture. With state-of-the-art colour changing lights, the atmosphere continually evolves creating depth and visual texture. If after exploring these award-winning gardens and landscapes you are inspired to transform your backyard into your own personal resort, engaging the services of a professional landscape architect is the wise option. Dapple Landscape Designs offers affordable creative brilliance along with friendly and professional service. Julian Saw has worked at some of Sydney’s leading green spaces and parklands and has an exquisite sense of contemporary landscape design. Dapple Landscape Design specialises in providing affordable garden design packages for residential and commercial properties. With a comprehensive knowledge of local climates and native flora throughout the various Sydney regions, Julian Saw and the team at Dapple Landscape Design have the expertise, skills and passion to bring your dream garden to life. With streamlined processes that allow the team to create stunningly beautiful gardens for surprisingly affordable rates, Dapple Landscape Design is proud to provide the local Sydney community with class-leading services. 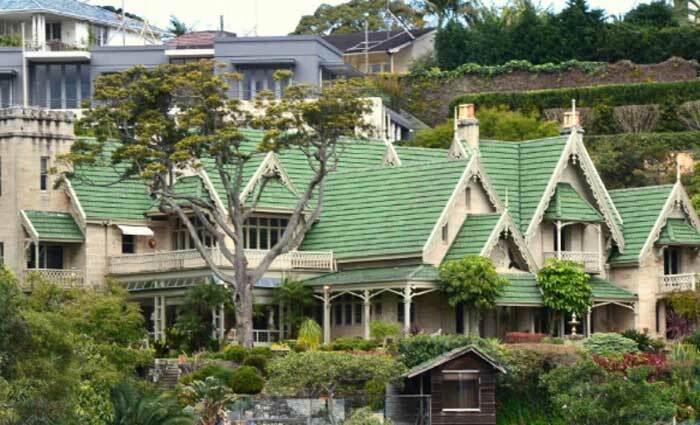 Julian Saw, the principal landscape designer, has mastered his art and craft creating and maintaining some of Sydney’s most iconic gardens including the Royal Botanic Gardens and the grounds at the University of Sydney. With the creative expertise and industry knowledge to handle even the most complicated project, the team at Dapple Landscape Design are committed to offering the highest standard of professional care and service. As the team are focused on ensuring that every customer is more than satisfied with each project, Dapple Landscape Design has a high rate of return customers from small residential properties to large commercial refurbishments in Greater Western Sydney. With DA/CDC/Developer Approval landscape plans from as low as $400, obtaining a professionally designed landscape plan has never been easier. Get your project moving and approved with the hassle-free garden design services provided by your local landscape design experts. To book a consultation, visit the company website or give the team a call today. Complete the form on the landscape design Sydney website and one of the team members will reply as soon as possible. Raise the value of your property and upgrade your outdoor lifestyle with the assistance of your local garden design experts. Come and discover a portfolio of successful projects on the company website to discover the diverse styles of the Dapple Landscape Design team.